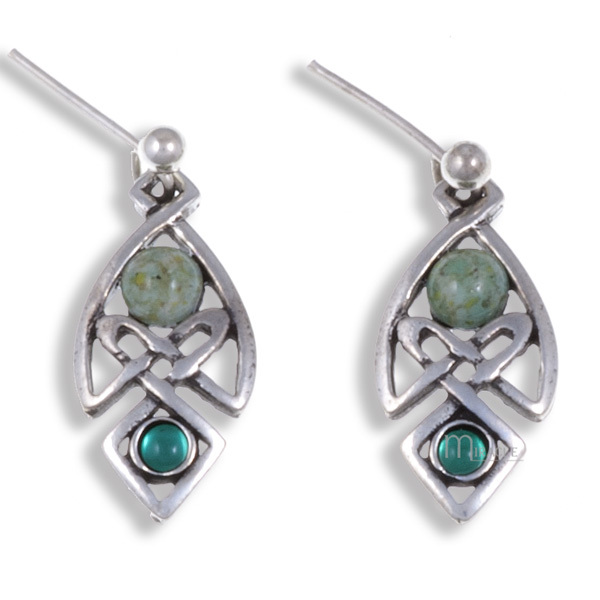 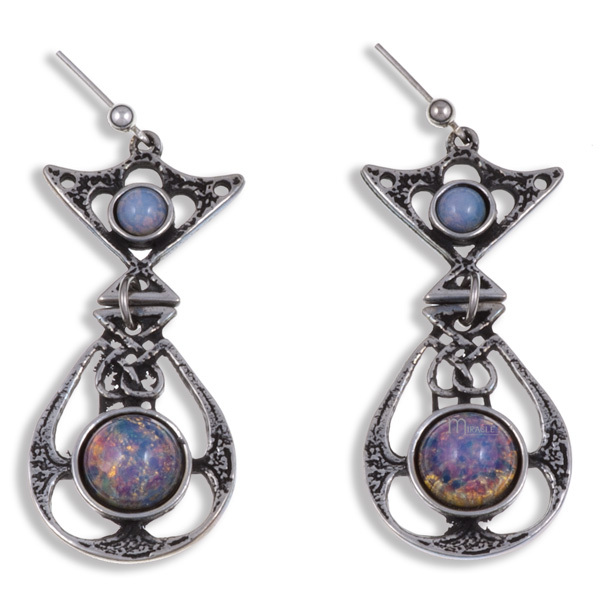 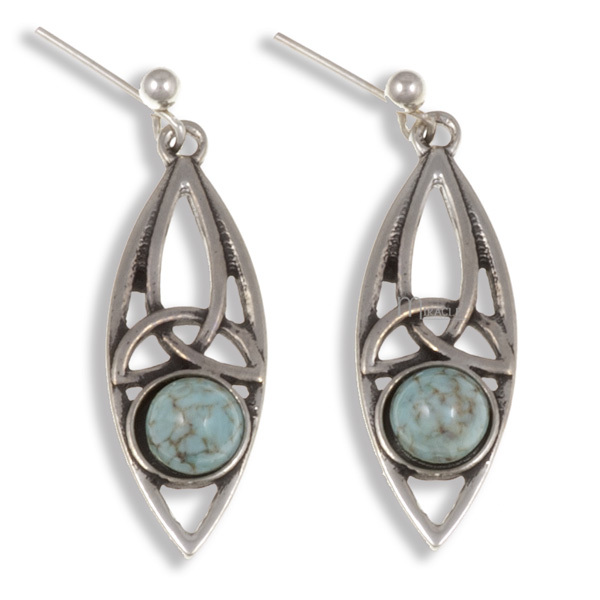 Antiqued pewter drop earrings with openwork knot detail and 2 pieces linked together containing 2 glass stones. 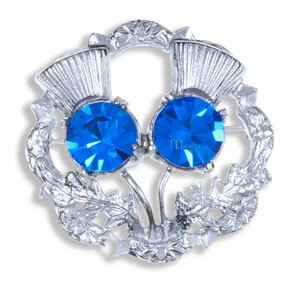 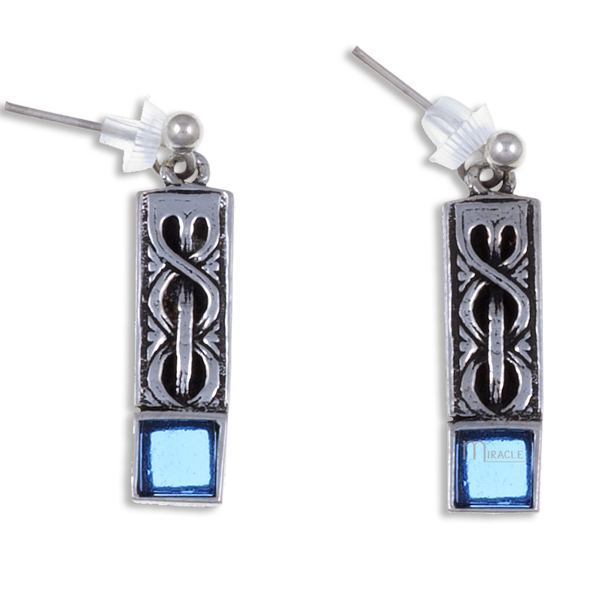 Earrings have silver plated surgical steel posts. 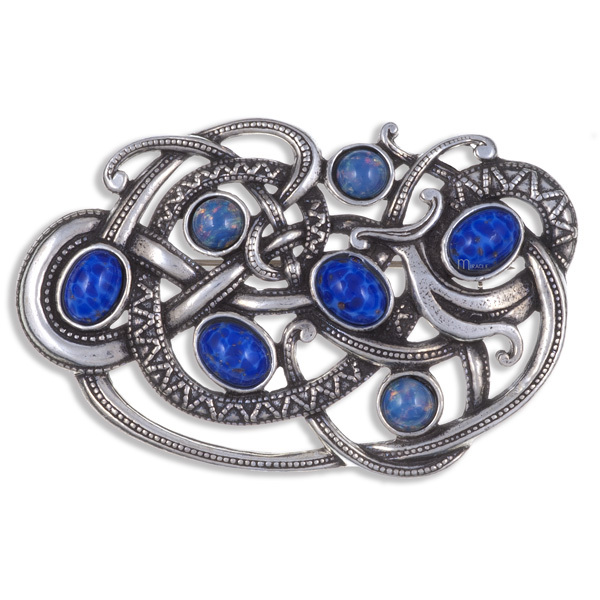 Approx 48mm high x 21mm wide. 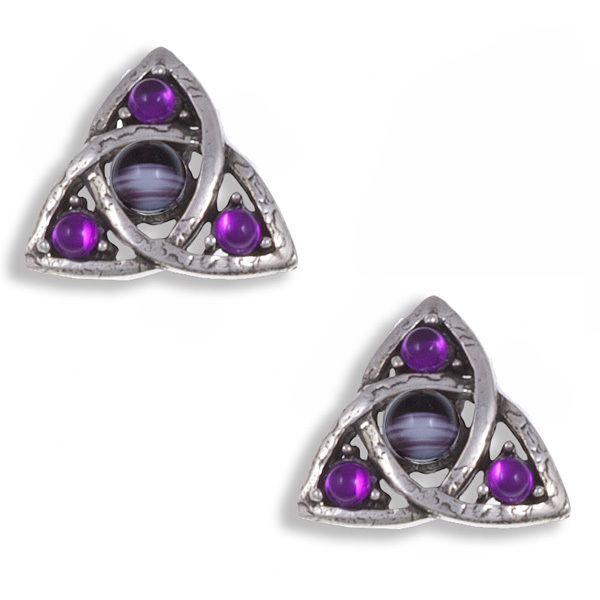 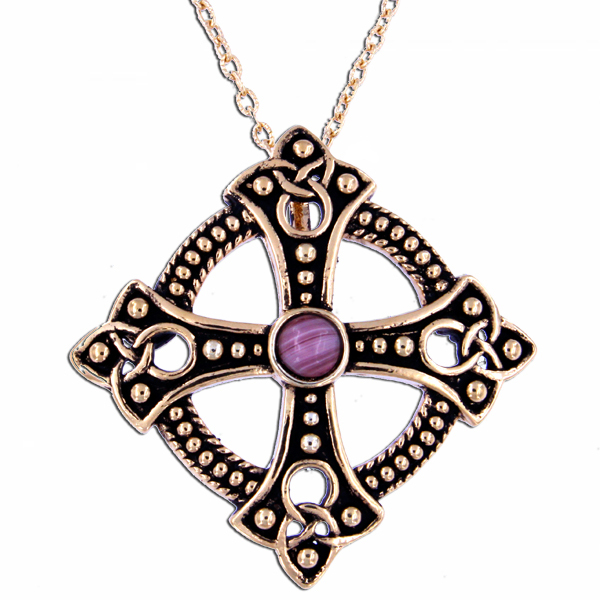 Available in Amethyst, Iona, Opal, Ruby.